Specialist forensic pathologist Dr Izak Loftus said he had no doubts in making that statement. Susan Rohde’s death was caused by hanging, a specialist forensic pathologist hired by murder-accused Jason Rohde told the Western Cape High court today. “I believe that the ligature was applied when the person was still alive and that hanging caused the death of the deceased,” Dr Izak Loftus said in response to defense Advocate Graham van der Spuy’s question on what might have caused the death of Susan Rohde. 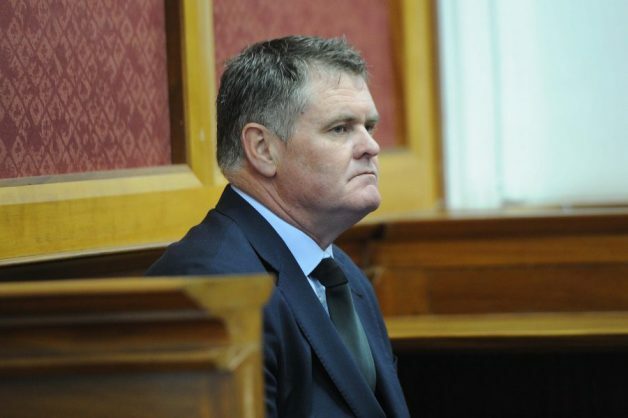 Jason Rohde is accused of murdering his wife Susan Rohde and staging her suicide after her body was found hanging by the neck, by an electrical cord from a hook behind the bathroom door of the hotel room they shared at the Spier Wine Estate in July 2016. Loftus said he had no doubts in making that statement. He, however, said he could not exclude other causes of force applied to the neck although he stood by his stance stating that the cause of death was death by hanging.